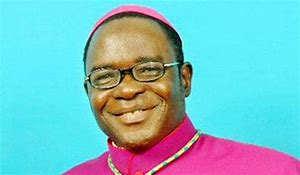 Bishop Matthew Hassan Kukah is the Bishop of the Catholic Diocese of Sokoto, Nigeria. He is also the funder of the Kukah Centre. Bishop Kukah was ordained a Catholic Priest on December 19, 1976. He received the Bachelor of Divinity at the Pontifical Urban University, Rome in 1976, followed by a Master’s degree in Peace Studies, at the University of Bradford, United Kingdom in 1980. Kukah’s academic pursuits culminated with a PhD from University of London’s School of Oriental and African Studies (SOAS) in 1990. Between 1999 and 2001 he served as a member of the Nigerian Investigation Commission of Human Rights Violations. In addition to his work as a parish priest of Saint Andrews’s parish in Kakuri, Kaduna from 2004 until his nomination as bishop, he was secretary of the National Political Reform Conference (2005) and from 2005 onwards he has been serving as the chairman of the Ogoni-Shell Reconciliation. Additionally, between 2007 and 2009 he worked also in the committee for Electoral Reform set up by the Nigerian government. He is the Convener of National Peace Committee that assisted in peaceful election and transition of power during the 2015 general elections in Nigeria. Among many other positions, Bishop Kukah is the Chairman, Committee on Inter-religious Dialogue, Catholic Bishops’ Conference, Nigeria. He is also a Member, Pontifical Council for Inter-religious Dialogue, Vatican City. He has also been serving as Chairman, Committee on Inter-religious Dialogue, Regional Episcopal Conference of West African, RECOWA. Fr. Atta Barkindo, Ph.D. is the Director of The Kukah Centre: Faith, Leadership and Public Policy Research, Abuja-Nigeria. He is a priest of the Catholic Diocese of Yola, Northeast Nigeria. He was educated in Egypt and Italy on Arabic, Political Islam and Inter-Faith Dialogue. 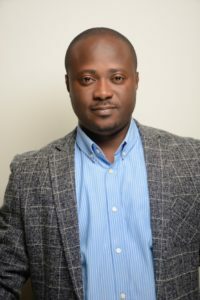 He had his MSc in African Politics in 2012 and he also completed his PhD at the School of Oriental and African Studies, SOAS, University of London in 2016. 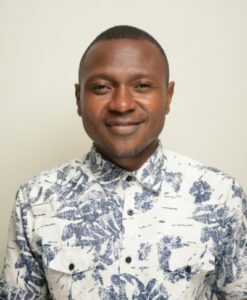 His PhD research project, titled ‘‘History, Memory and Resistance in Northern Nigeria: The Transformation of Boko Haram,’’ was awarded the Horowitz Foundation grant for Social Policy. In 2015, Fr. Atta specialised in Deradicalisation, Rehabilitation and Reintegration of Violent Extremists, at the International Centre for Political Violence and Terrorism Research, Singapore. From 2014 to 2016, Fr. Atta consulted for the European Union Technical Assistance to Nigeria’s Evolving Security Challenges. In May 2016, he was selected as a member of the United Nations Group of Experts to review the UN Handbook on Countering Violent Extremism in Africa. Currently, he consults for the European Union Support to Nigeria’s Prison-Based Deradicalisation Programme. He is Research Fellow for Open Doors International, Netherlands, the World Watch Monitor, UK and Global Initiative on Civil Society and Conflict, University of South Florida. Fr. Atta is also a member of the Board of Trustees (BoT), Africa Research Institute, London. He has authored the following reports: Internal Migration, Citizenship and Conflict in the Middle Belt Region of Nigeria; Gender Based Violence (GBV) in the Context of the Boko Haram Conflict and Boko Haram’s Exploitation of History and Memory. He has also written a substantial number of articles and opinion pieces. His forth-coming book: Boko Haram: History, Dispossession and Resistance will be out in November 2018. 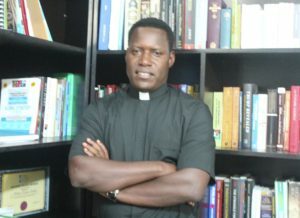 PHILIP ADEMOLA OLAYOKU, has a PhD in Peace and Conflict Studies (University of Ibadan). 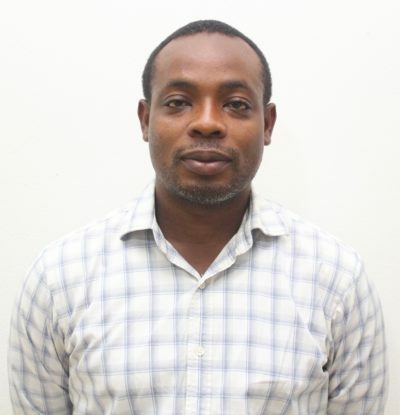 He is the Research and Programs Coordinator at the Kukah Centre, Abuja, Nigeria. He taught as an adjunct in the Institute for Peace and Strategic Studies and the Institute of African Studies of the University of Ibadan. He is also a Senior Research Fellow of the French Institute for Research in Africa (IFRA-Nigeria); and his research interests include media and ethnicity, transitional Justice, ethnoreligious conflicts, transnational relations and Afro-Asia relations. Mathew Shom Yari is the accountant of Kukah Centre. He holds Bsc. Accounting from Ahmadu Bello University, Kongo Campus, Zaria kaduna State, Nigeria. 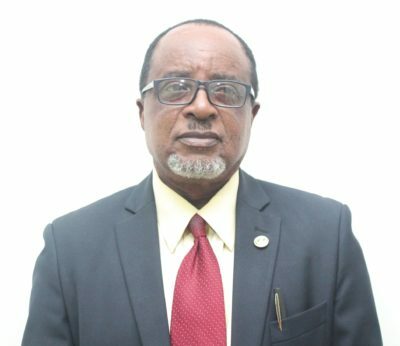 He is a member of Association of National Accountants of Nigeria (ANAN). Nigerian College of Accountancy, Jos Plateau State, Nigeria. Matthew likes working within the financial environment. 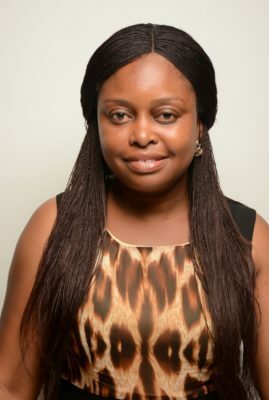 Eucharia Nnenna Ezugwu is the Administrative Assistant of the Kukah Centre. She has a B.SC degree in Mass Communication from Anambra State University. She is an energetic, ambitious young lady who has developed a mature and responsible approach to any task that she undertakes. She is excellent in working with others to achieve a certain objective on time and with excellence. She is open to learning. SAMUEL TERSEER ORBIAM, is the Front Desk Officer/ Office Assistant at the Kukah Centre. He is an ICT and Networking expert with a professional certificate. Sam holds General Computing and Information Technology certificate from Raphigreat Institute of Technology, Abuja. He seeks to attain professional distinction and proficiency in his career. Eno-Obong Samuel Iyere has a degree in Accounting (Ed) from Imo state University. She is the Assistant Accountant in The Kukah Centre. Email address and contact number are enoiyere@gmail.com & 08064015464 respectively.